After recently reporting on smart meter-related fires in Australia, Canada, Pennsylvania, Oregon, and Florida, the latest reports are coming out of Nevada. This appears to be a continuation of the “Domino Effect” described at this website in late August. Below is a news report regarding the woman who died as a result of a fire on July 27, 2014 and a follow-up report regarding the requested investigation by the Nevada PUC. SkyVision Solutions has a simple and safe solution. Get rid of all smart meters. Let’s do it for the sake of life and property (as well as piece of mind). Nor have the fires been confined to Reno-Sparks. 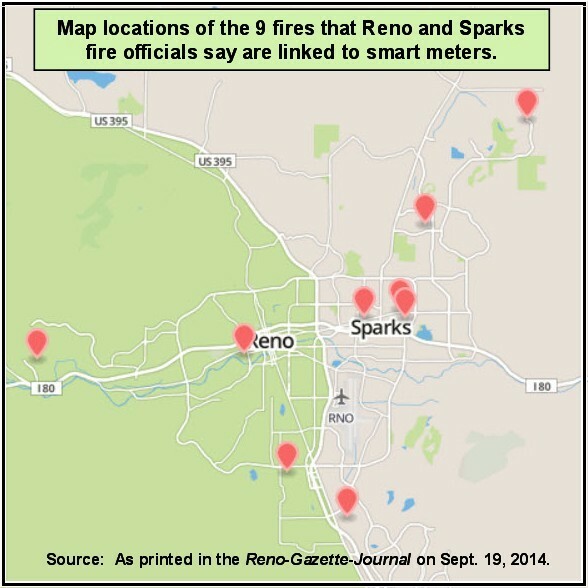 “Reno, Sparks Fire Chiefs Call for Smart Meter Probe,” at http://www.rgj.com/story/news/2014/09/13/reno-sparks-fire-chiefs-call-smart-meter-probe/15580069/. “Smart Meter Concerns Grow,” at: http://www.rgj.com/story/news/2014/09/19/coming-sunday-smart-meter-concerns-grow/15908791/. As an additional reminder of the havoc that can be caused by smart meters, a new video clip has been composed by SkyVision Solutions in order to give a better account regarding a fire from February 6, 2014, where there is no doubt that a smart meter was the direct cause of an apartment building fire in Pennsylvania. 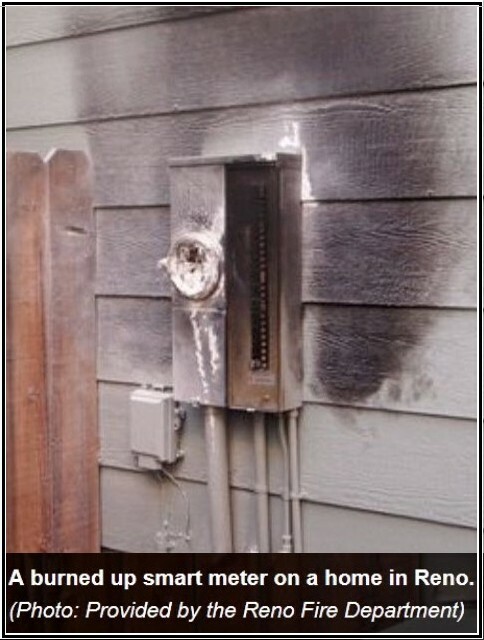 Also, this fire was caused by a Landis smart meter, not one by Sensus. See below. “Be Very Aware, Very Vigilant” . A caveat that must not be ignored. But consider who will watch over your home when you are away? Remove the smart meters and get back your piece of mind! SkyVision Solutions has a solution. Get rid of all the smart meters.